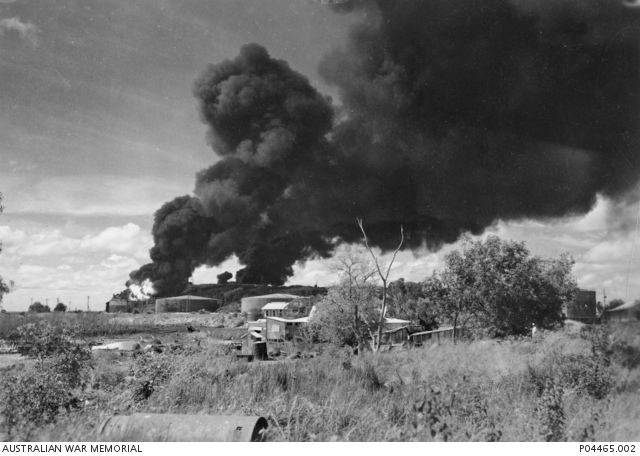 Just before 10 a.m on the morning of the 19th of February 1942, Australian history was marked by a dark moment as Darwin became the first major target on land to be bombed by a large airborne enemy force. 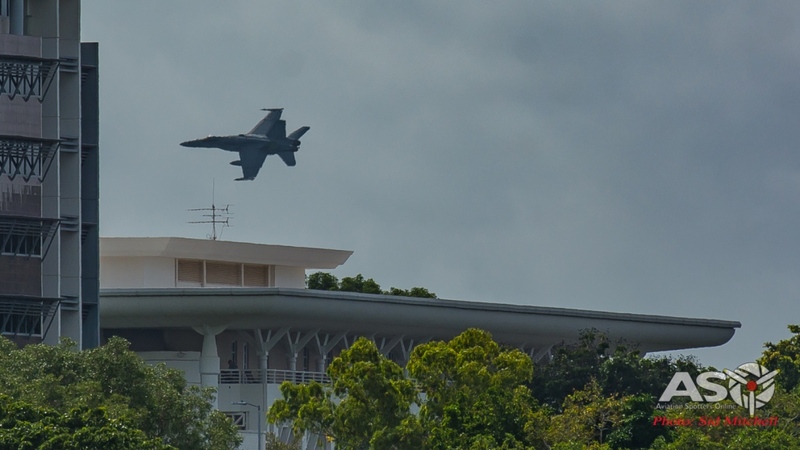 Having been relatively immune from enemy strikes, this attack was to be a wake up call for Australia as a nation…. war and conflict had finally reach our shores. Australians had heard on the wireless and in read in print news of the Japanese surprise attack on the United States at Pearl Harbour, but most never thought the horror of war would impact the civilian population so violently on home soil. “Fighter Guide Map No. 1B, Darwin Area”, March 1944. 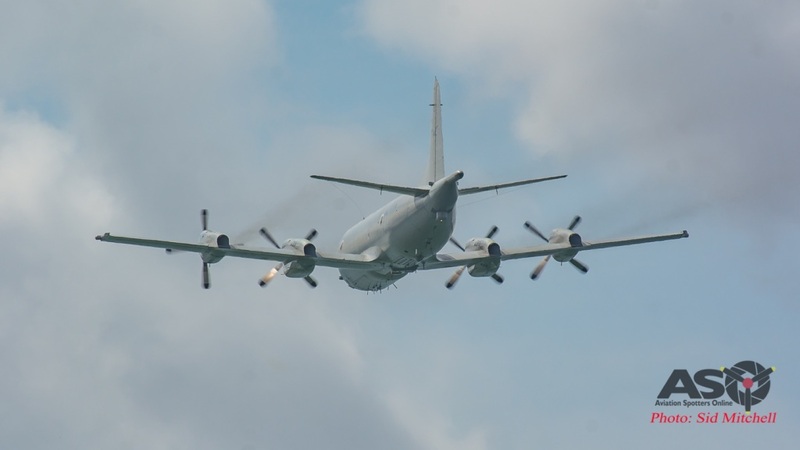 Produced for air defence purposes by the Royal Australian Air Force. The initial Darwin raid at 9.58am, was conducted by 188 Japanese aircraft, 36 A6M2 ‘Zero” fighter escorts protecting 71 Aichi D3A “Val” and 85 Nakajima B5N2 “Kate” bombers from four Imperial Japanese Navy aircraft carriers, the Akagi, Kaga, Hiryu and Soryu, located in the Timor Sea to the north. 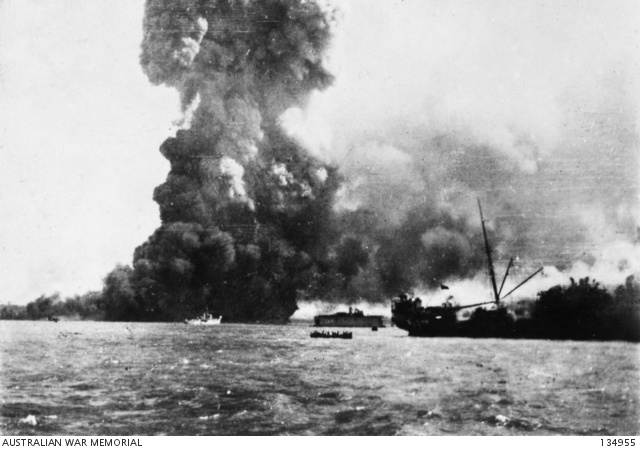 Nine large ships were to eventually sink in Darwin Harbour as a result of the raid that day and a further two more outside the harbour. More than 15 others would be damaged either at anchor, berthed or in slipways. 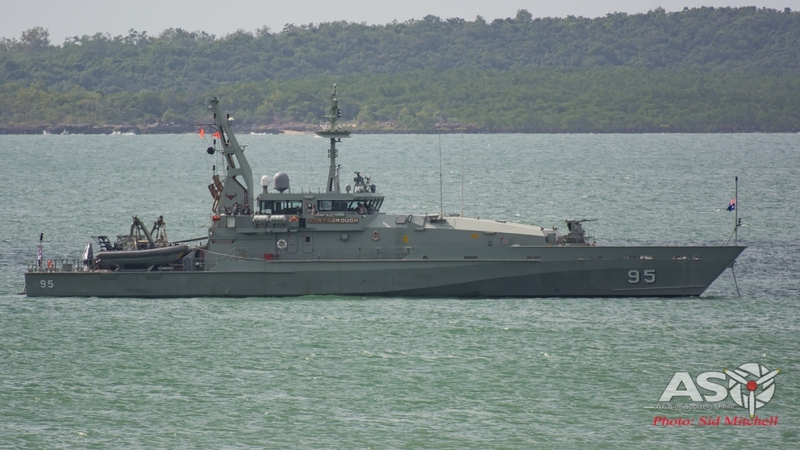 The Neptunia which was loaded with ammunition blows up at Darwin wharf. Rescue craft, the HMAS Vigilant and the Katoomba are centre pic. 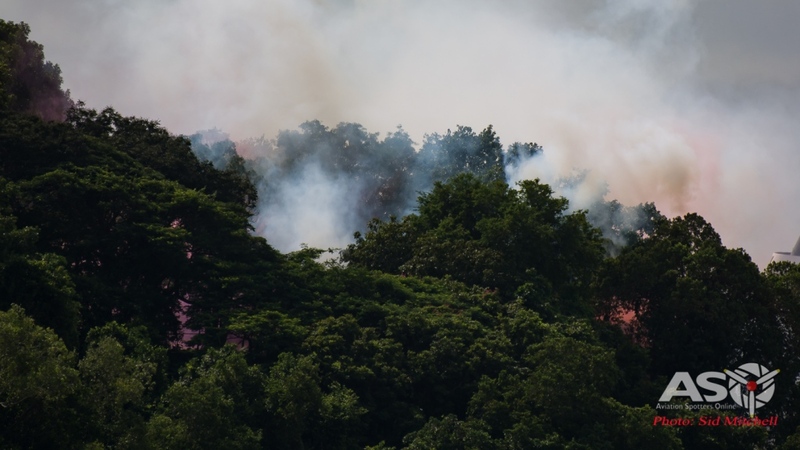 while the Zealandia to the right later caught fire and sank. A second attack followed 25 minutes later buy 54 land-based aircraft including 27 Mitsubishi G3M ‘Nell” and a further 27 Mitsubishi G4M “Betty” bombers. 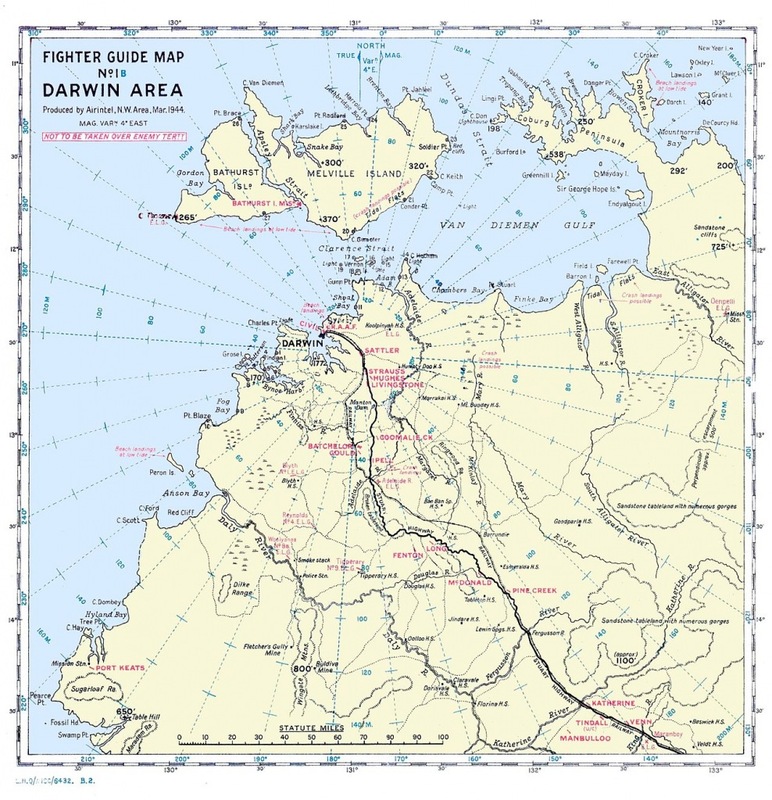 Both attacks caused considerable damage and loss of life to not only the military but the civilians of Darwin. 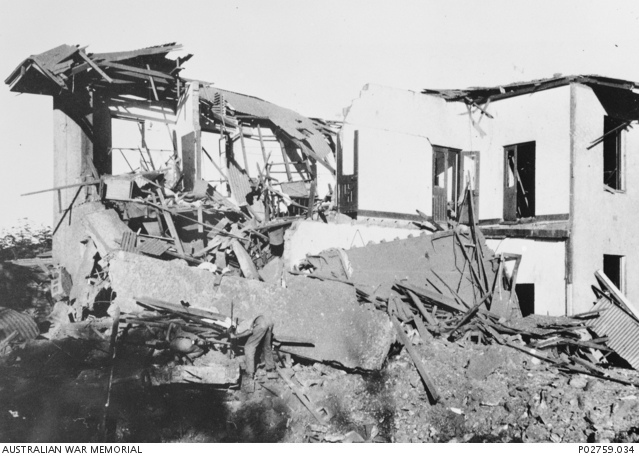 The Darwin Hospital, Post Office, Police Barracks, Bank of NSW, 7 out of 10 fuel bunkers (tanks), wharf, rail/road facilities and the telegraph line were just some of the infrastructure damaged. 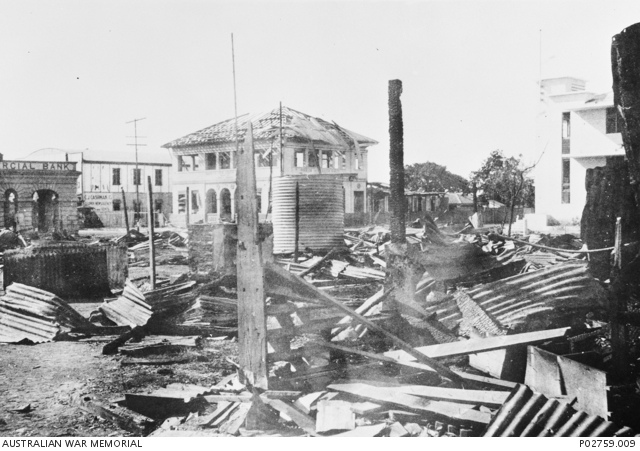 Darwin Police Barracks which was destroyed during the air raid on 19 February 1942. With the Australian Government’s official figures as a result of the two raids that day being 235 people killed and an estimated 300 to 400 wounded causalities, many allied soldiers and sailors , some say those numbers under estimates the real figure. Destroyed and damaged buildings in the business centre of Darwin. The remains of Jolly’s Store, the Bank of NSW and the Commonwealth Bank can be seen. 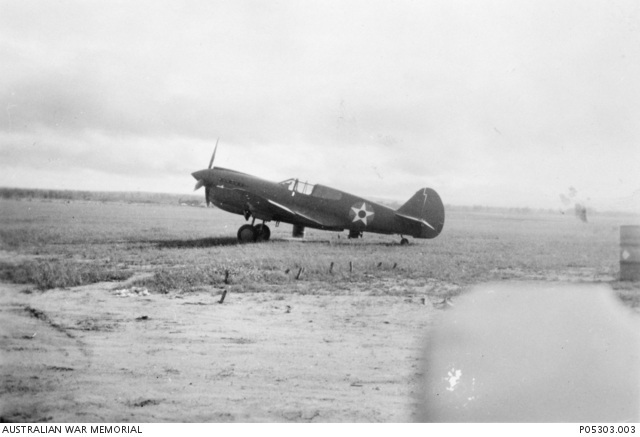 As a response ten P-40’s of the 33rd (Provisional) Pursuit Group USAAF, which was based at Darwin on that day, were sortied with all but two being shot down defending Darwin and the following pursuit of the raiders as they departed. The newly formed “A” Flight 33rd Pursuit Squadron, under command of Maj Pell ceased to exist that day following the air raid and aerial combat with the Japanese. 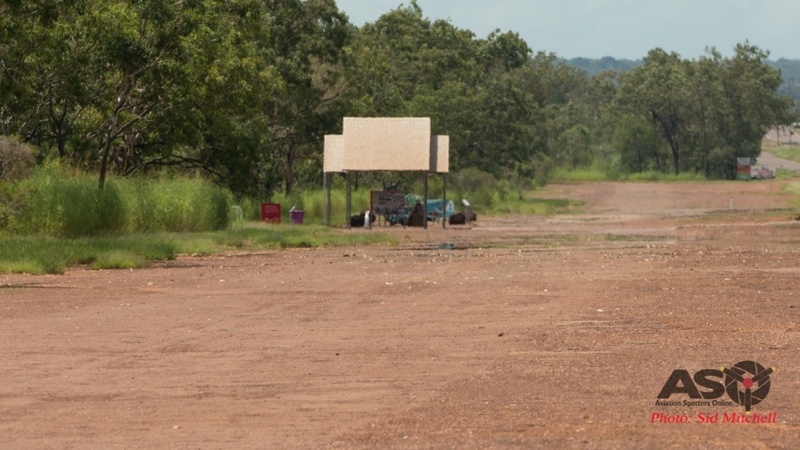 One of the later wartime air strips built 100km down the Stuart Hi-way was named in Major Floyd Pell’s honour. 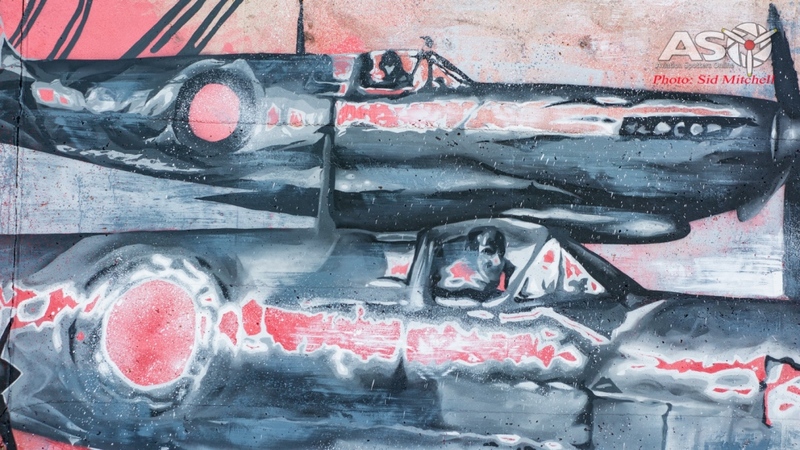 Even though it was surprise attack, one Kate dive bomber was shot down over Darwin, a Val and a Zero crashed from damage returning to their carriers and a further Zero crash landed on Melville Island to the north of Darwin. 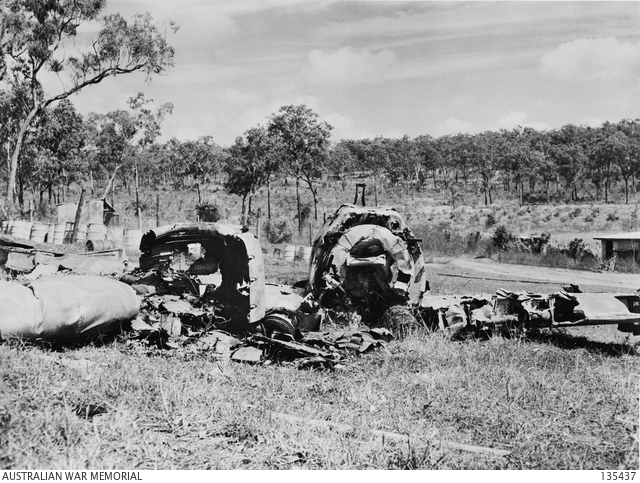 The remains of Sgt Toyoshima’s IJN A6M Zero on Melville Island north of Darwin. 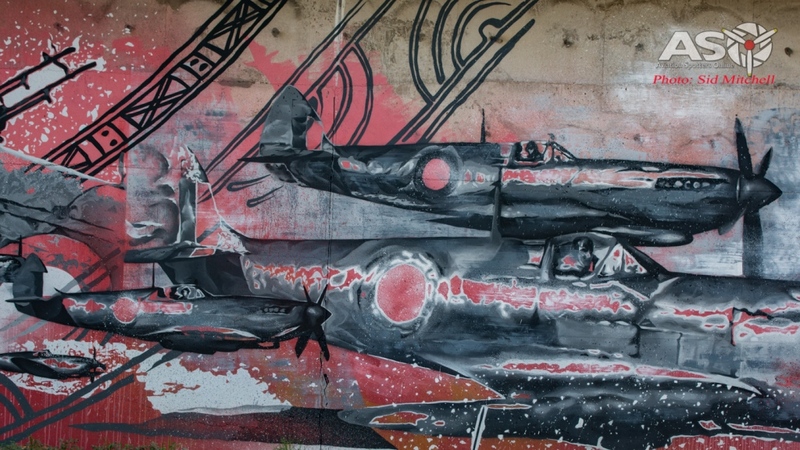 Of note was that the Japanese Zero pilot., Sgt Hajame Toyoshima became Australia’s first prisoner of war captured on home soil, being detained by local Aboriginal men until handed over to military authorities. The one fully airworthy surviving aircraft, piloted by Lieutenant Robert (Bob) Oestricher claimed two of the four Japanese aircraft shot down during the raid. No. 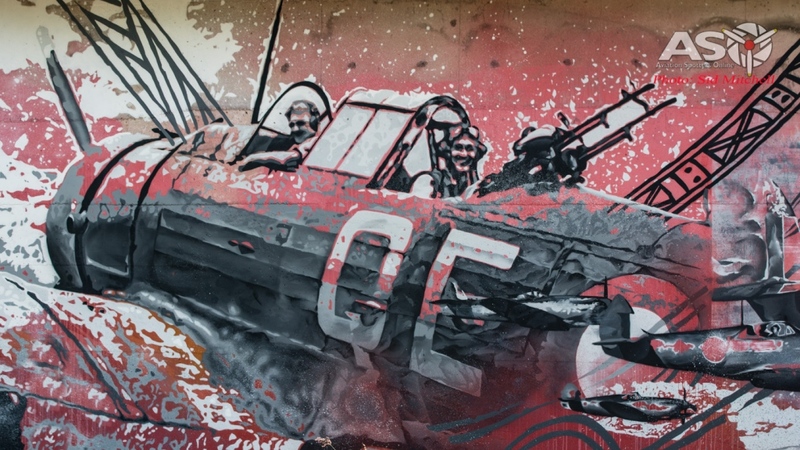 2 squadron Hudsons had just started returning to Darwin from Koepang (Kupang) on 18 February 1942, joining some of 13 Squadron Hudsons at the RAAF Station. Other 2 Sqn Hudsons arrived at Darwin on 19 February only a few hours before the first Japanese bombing attack. Up to 30 aircraft were reported as destroyed in various telegraphs to HQ, including 6 Hudsons, 2 Kittyhawks and a B-24 Liberator totally wrecked on the ground with a Wirraway plus another Hudson badly damaged as well. In air combat 8 Kittyhawks were shot down and 1 returned suffering battle damage. Lockheed Hudson bomber aircraft A16-57 of No. 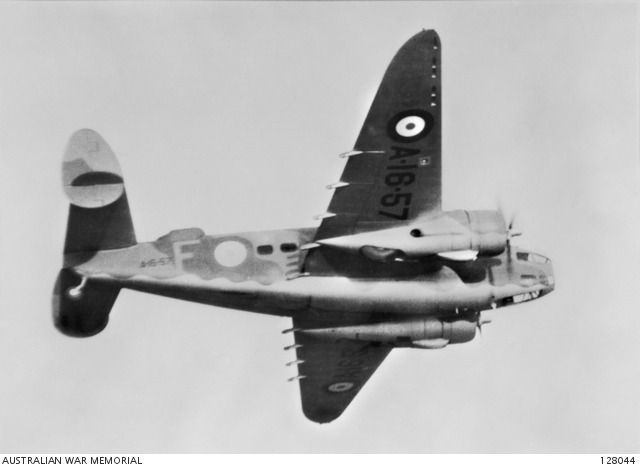 2 Squadron RAAF – destroyed on the ground that day. 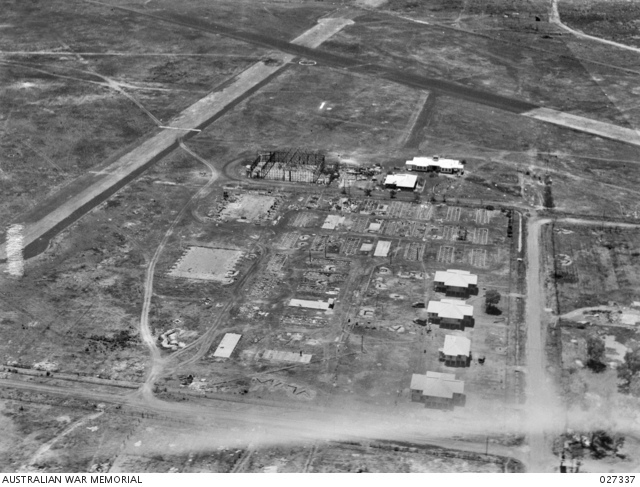 Aerial view of the damaged RAAF Station after the raid. 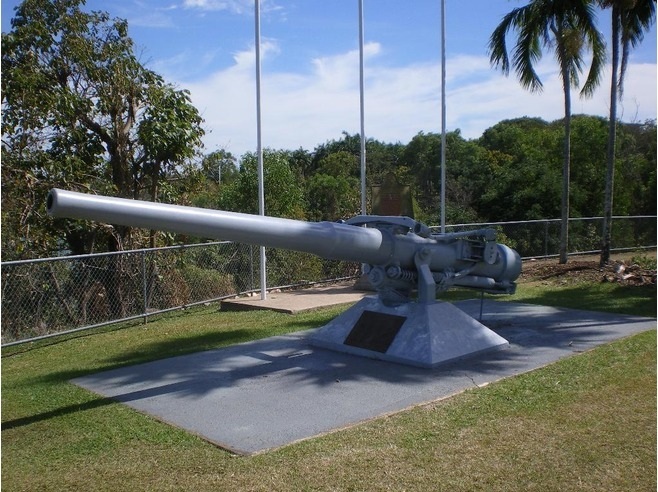 It interesting to note that more bombs were dropped on Darwin, the RAAF Station and Darwin harbour on the 19th February 1942 than were delivered in the attack on Pearl Harbour 3 months prior. 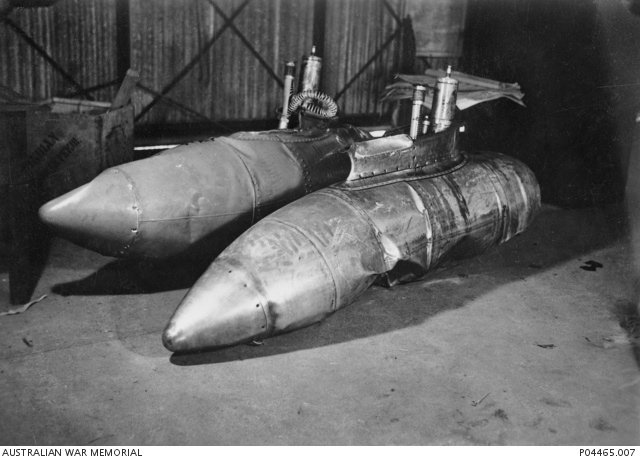 Some long range drop tanks were initially mistaken as bombs in the aftermath of the raid. A pair of crushed and damaged Japanese long range fuel tanks which were recovered after the first Japanese air raid. 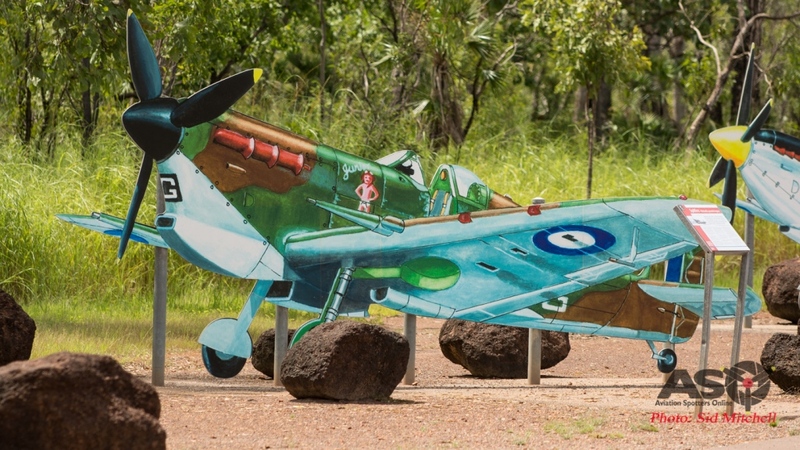 WWII relics are still visible at many Darwin locations and in the surrounding areas including a number of airfields and storage facilities used during the war. 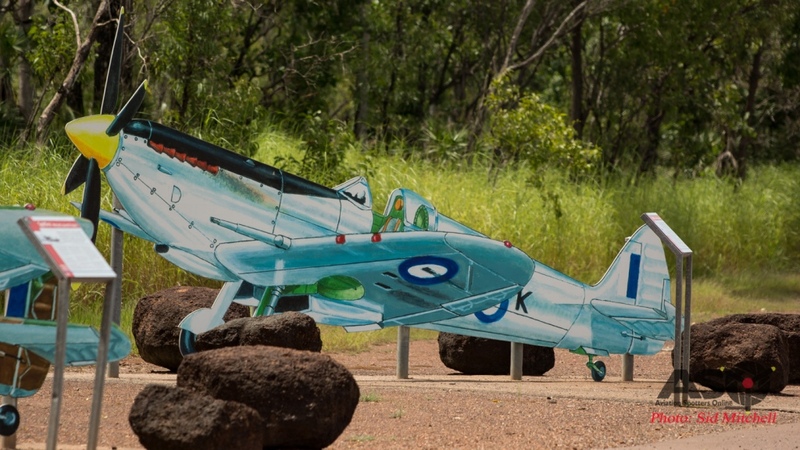 Darwin also has a number of historical centres that show the wartime history including the Australian Aviation Heritage Centre, WWII Oil Storage Tunnels, Darwin Military Museum and the Royal Flying Doctor Service Darwin Tourist Facility at the wharf which includes the Bombing of Darwin Harbour display with a replica A6M Zero suspended from the roof. 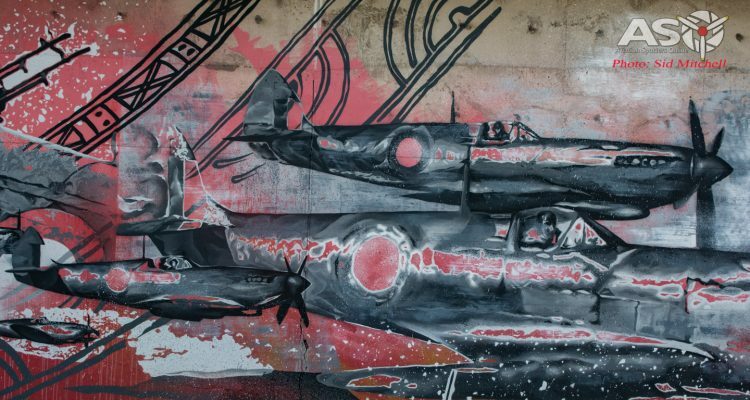 A mural painted on the wall of an ammunition bunker in the old storage area off Bombing Road, Winnellie. 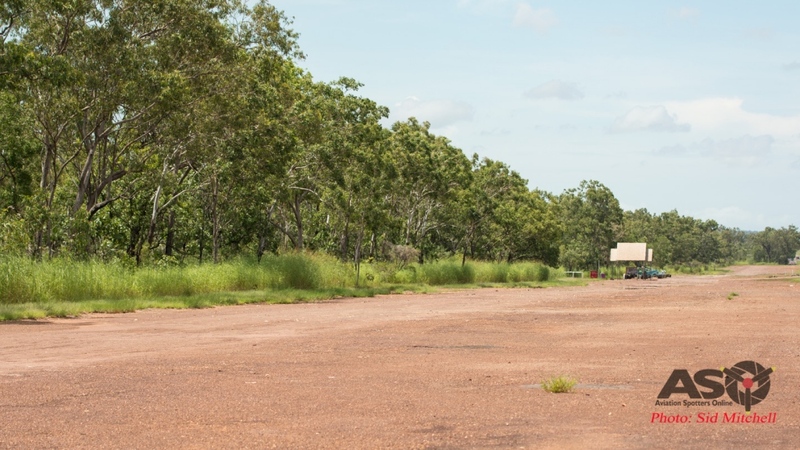 Even today evidence of attacks can be seen at the old QANTAS hangar – formerly of the RAAF station in Parap. Strafing runs performed by A6M Zeros have left 20mm cannon left holes in the building’s structure in a number of places. 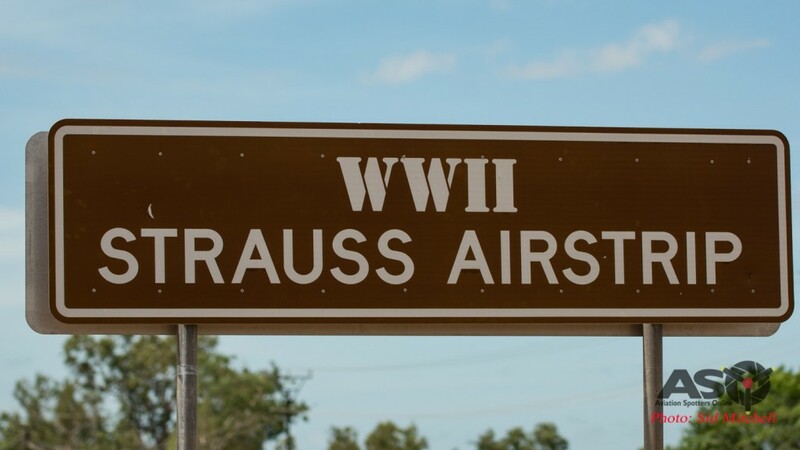 One popular airfield right on the Stuart Highway is Strauss Airstrip, about 45 km from Darwin CBD. 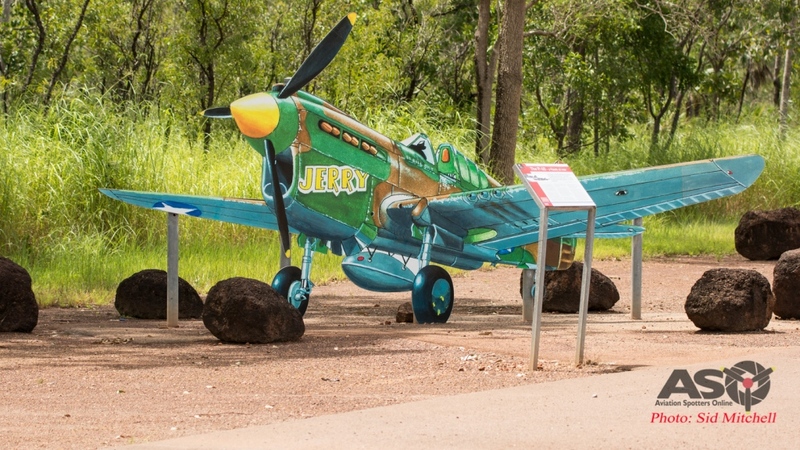 It is a popular rest stop for travellers to the NT with Strauss Airfield providing some information boards and three painted silhouettes of aircraft types used to defend Northern Australia. In Honour of this 75th Anniversary two locally based aircraft, an AT6 Harvard and DH.82 Tiger Moth, both flew over the city. 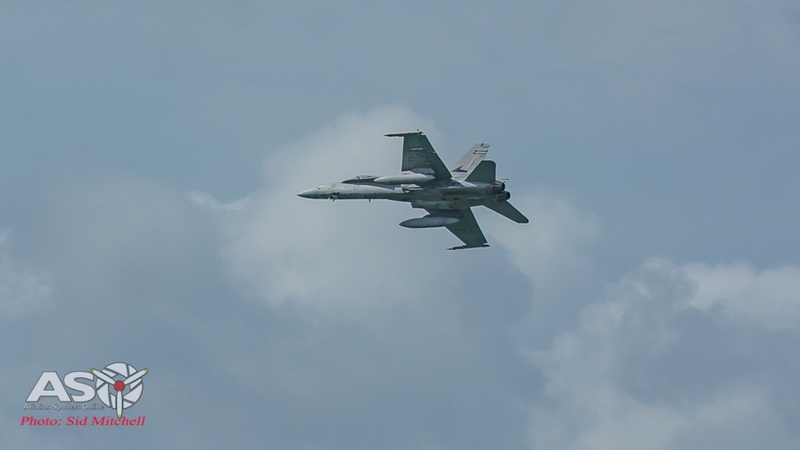 This was in addition to the USS Peary Memorial Service conducted earlier in the morning. USS Peary , a destroyer at anchor in Darwin Harbour, was sunk in the attack and many allied sailors died as a result. 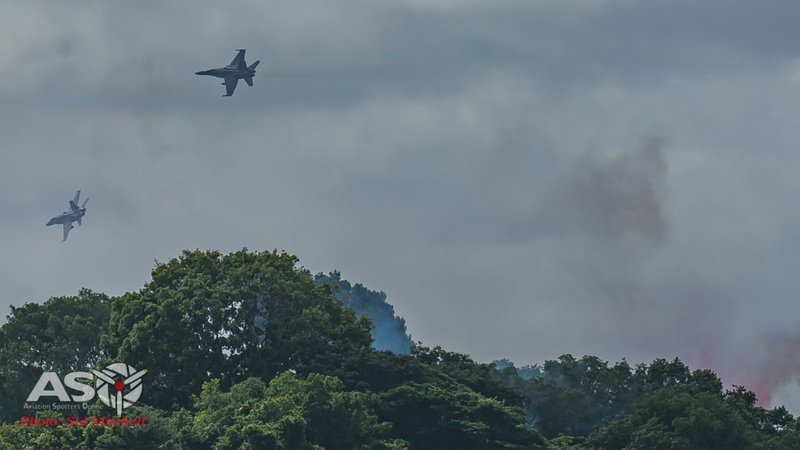 The ADF also performed displays for the public, a simulated attack with the Australian Navy’s patrol boat HMAS Maryborough firing it’s guns, and troops from the Australian Army at Robertson Barracks firing field guns near the Cenotaph. 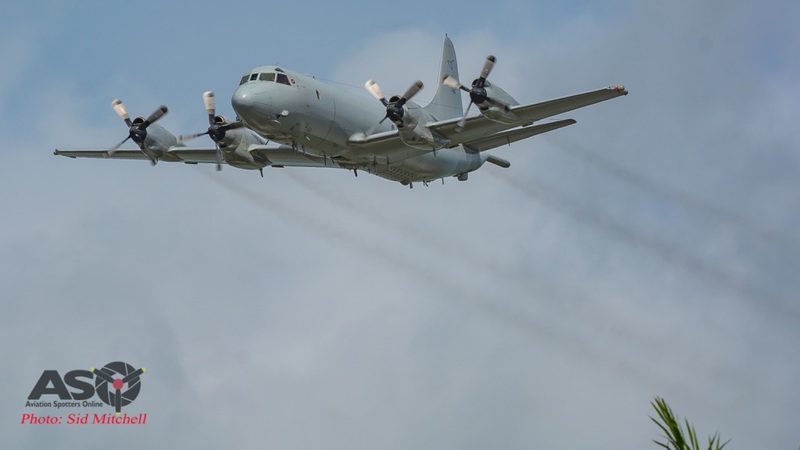 At 9:58am a low level flypast by the Royal Australian Air Force roared overhead, consisting of 4 aircraft , a P-3C Orion based at RAAF Base Darwin plus three F/A-18A Hornets flown up from RAAF Base Tindal. The first past was as a combined formation then as the smoke cleared from the gunfire, individual low passes back over the Cenotaph and CBD. 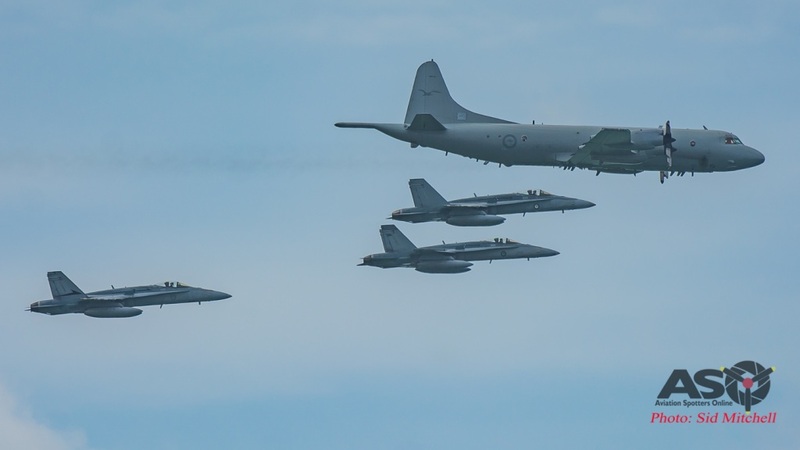 P-3C Orion and Tindal based F/A-18A’s in formation pass over Darwin. Truly a sad day in Australian and Allied history but one that is to be remembered with a memorial ceremony held every year on 19 February at the Cenotaph in Darwin. As with each year past, at 9:58 am a World War II Air Raid Siren sounds to mark the precise time of the first attack. Lets We Forget.